Presets are one of the core functions that make Lightroom so powerful and versatile. 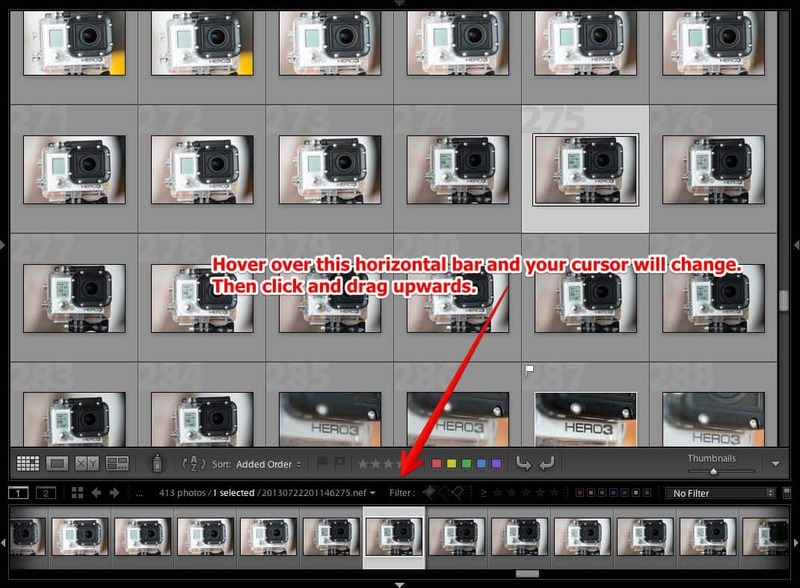 They provide customizable shortcuts to get just the look you want and can speed things up immensely or provide some creative alternatives to processing the image. 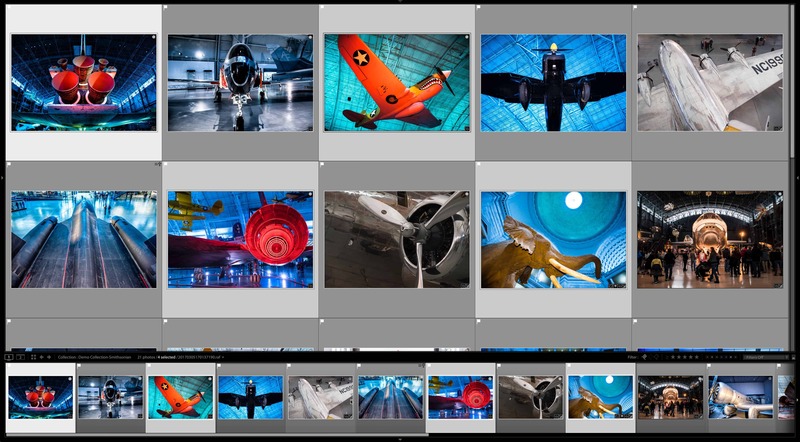 Installing Lightroom presets is easy, although it's not necessarily self-evident. There are two methods. One is better suited to large bundles of presets that are often offered online. The other is better suited to individual presets or small numbers of them, such as ones you've created yourself or others have shared with you. 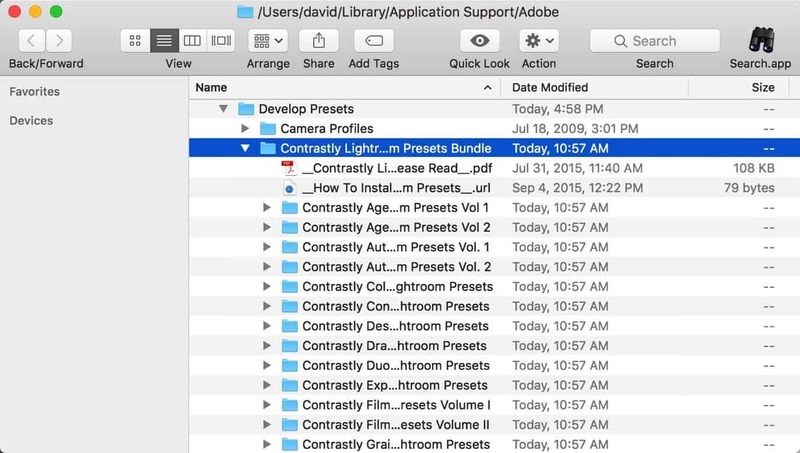 In this example I'm installing a large bundle from Contrastly that includes several hundred individual presets organized into subfolders. The first step is to procure your preset. Whether you're buying a premium collection, download free presets from the web, sharing ones made by a friend, or installing ones you've made before yourself, you need to have the preset files handy. If you've downloaded them as a zip file, uncompress that file. The individual presets should have a .lrtemplate file extension. If they're organized into folders, you can keep them in their folders. That'll make it easier and quicker to find the one you want when you're using them in Lightroom's Develop module. 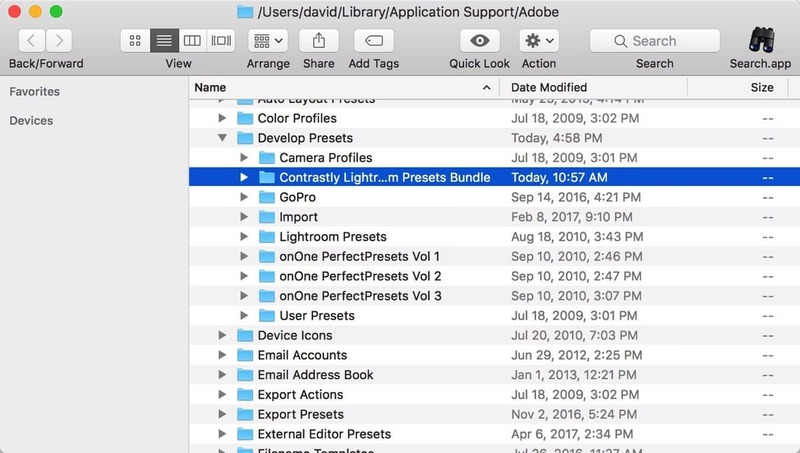 The first thing you need to do is find the folder where Lightroom is expecting to find the presets. 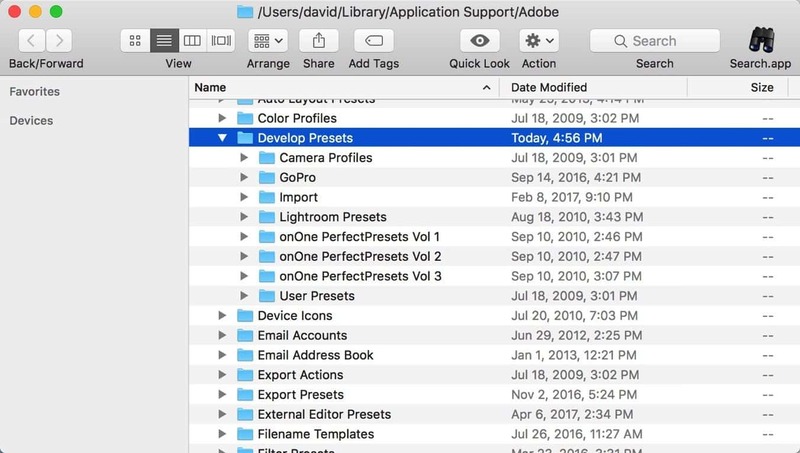 But you don't need to start searching blindly around your hard drive--there's a built-in feature in Lightroom that shows you precisely where they are. And the reason that tool is there is that the folder is often hidden by default in the operating systems. 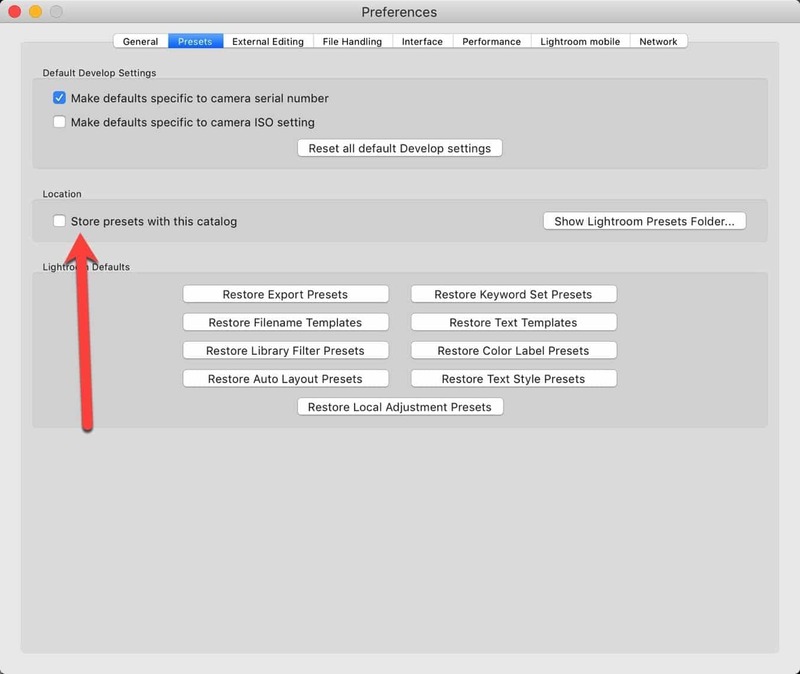 To access it, go to Preferences > Presets from the top menu (on Mac; on PC, it's under Edit). It will then open the general Preferences panel. Click on the Presets tab at top. 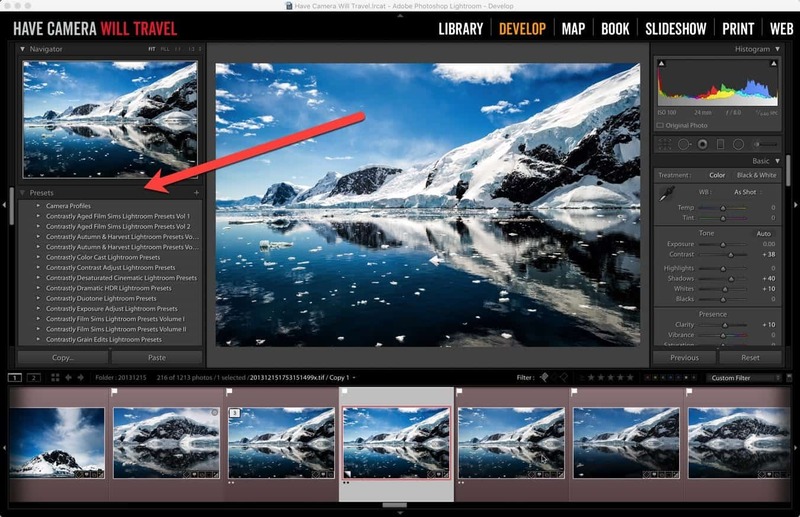 In the Location section you'll see a button that says "Show Lightroom Presets Folder...". Click on that. 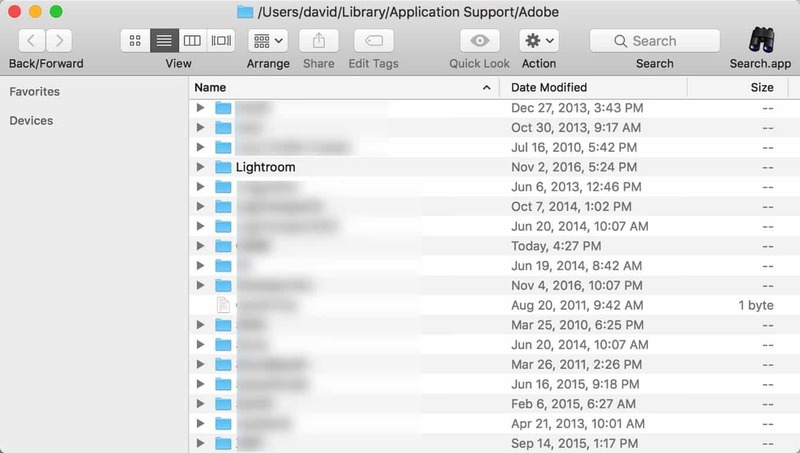 It will open a file browser window (Finder on Mac) that shows the location of the Lightroom support files. 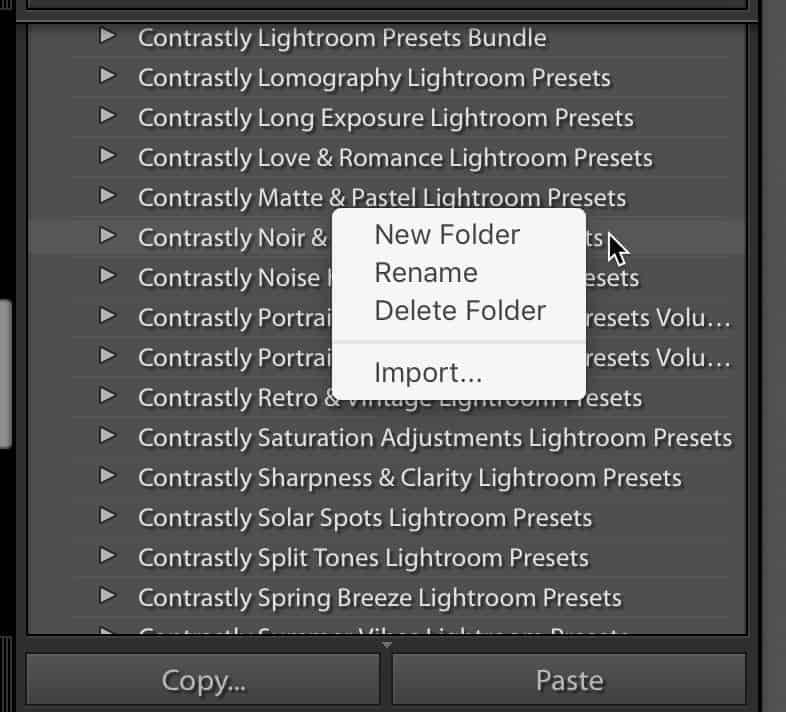 Double click on the Lightroom folder to expand, then open the Develop Presets folder. That's where the presets are stored. Preset bundles you download from the web are often organized into a folder structure to make it easier to find specific presets. You can also make your own folders and organize them any way you like. All you need to do now is copy the downloaded presets into the Develop Presets folder. If the presets don't already come in a folder structure or you don't want to create a new one, use the User Presets folder. The subfolders can be multiple levels deep. 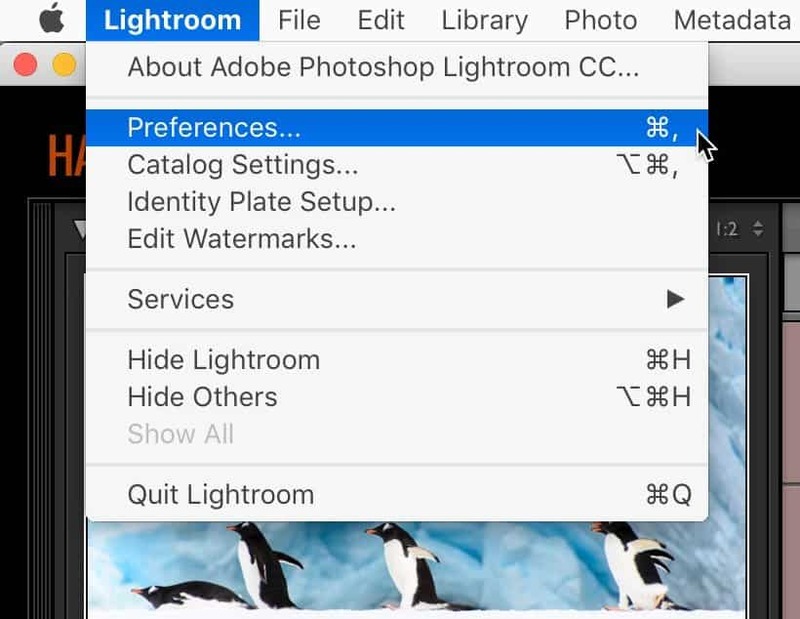 Lightroom automatically deals with that when it shows them in the Lightroom interface, so don't worry too much about it here. 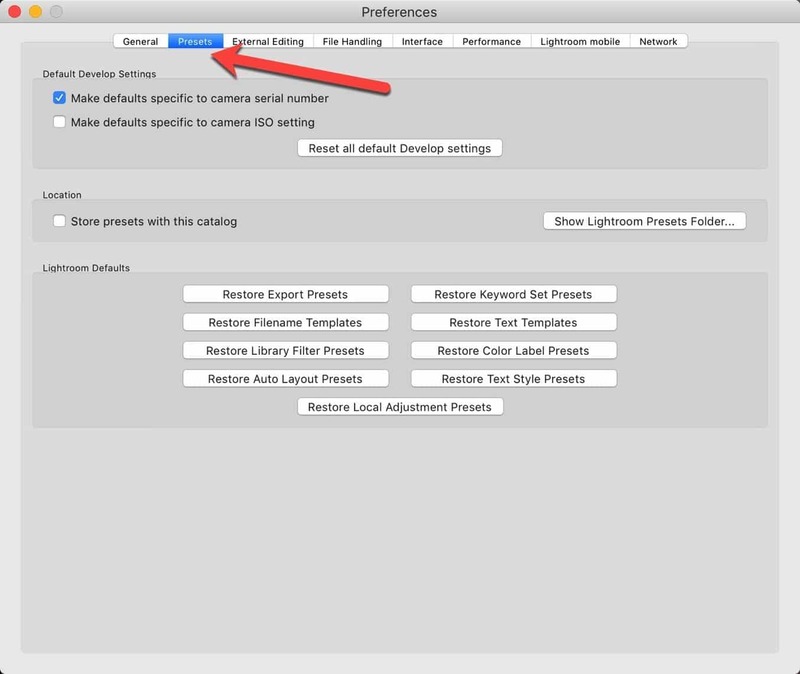 If you've had Lightroom open while you do this, the newly installed presets won't show up until you restart Lightroom. Your presets will now show up in the Develop module's preset panel. 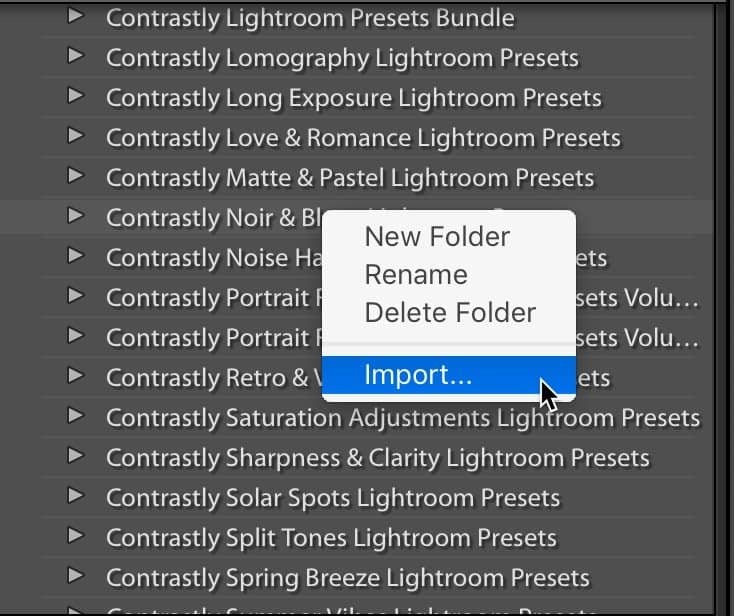 You can now rename folders and reorganize the presets from within the Lightroom interface. Just right click on the relevant folder/preset in the Preset panel for the new folder, rename, and delete folder options. There is a quicker and simpler way if you're just trying to import a single preset or a smaller batch. It will work with multiple presets, but it doesn't support a folder structure, so you either have to put all the presets into the same folder or import each subfolder separately. Go to the Develop module. Right click on the relevant folder such as User Presets, and click on Import. All you do then is select the preset files (or multiple files, holding down CMD (Mac) or CTRL (Windows)). It doesn't work with folders. You might have noticed an option in the preferences panel for "Store presets with this catalog." This is handy if you're migrating images from one catalog to another because you don't have to migrate the custom settings separately. But there are some reasons you might not want to do this. The most important is that because the presets are stored with the files for a specific catalog, they're not accessible to any other catalogs you're using. Maybe you create a new catalog for each year's photos, for example. Or maybe you have a catalog for client projects and another for personal projects. With this option checked, the presets won't be shared in the other catalog. 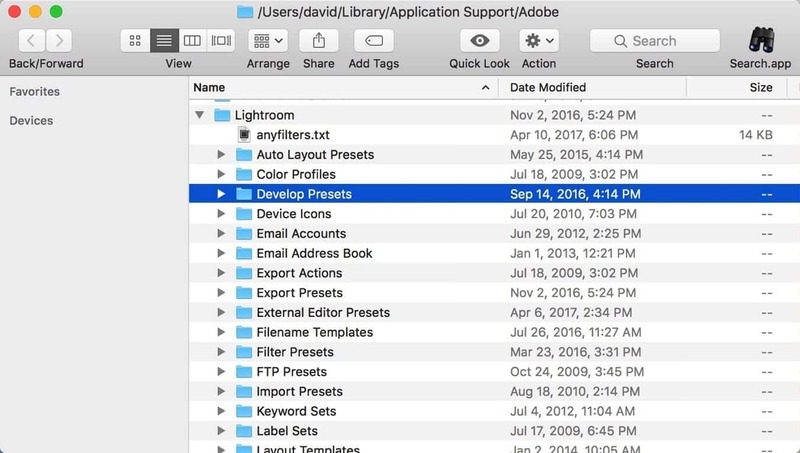 Another reason not to have this option checked is if you're sharing a catalog with a client or colleague and want to keep your preset settings to yourself as your own secret sauce.